In Nisio Isin’s original light novels — at least, the two that I’ve read, Kizumonogatari and Bakemonogatari vol. 1 — Araragi’s voice is front and center, always. The result is a more focused perspective from a singular source: Koyomi Araragi. Parts of my thoughts on this have to do with the fact that the novels are chronologically last in my personal consumption of the series. First I watched the series in airing order as it aired, although I didn’t pick up Second Season right away. Then I read the Kizumonogatari novel, watched Koyomimonogatari, watched Kizumonogatari Part 1: Tekketsu, and most recently read the first Bakemonogatari novel. This means that, when I read Araragi saying the quote above, all I can think of is Hitagi Senjougahara’s confession to him, where she identifies that Araragi would have saved anyone, and wasn’t out to save her specifically — which occurs later in the same volume, and which I had already seen in the final episode of Mayoi Snail. I doubt the translator intended to reference this, it’s more a reiteration of what I have already seen in the Monogatari series. Even the pieces that aren’t necessarily meant to fit do because of the series’ stellar characterization and peeks into its characters’ heads. 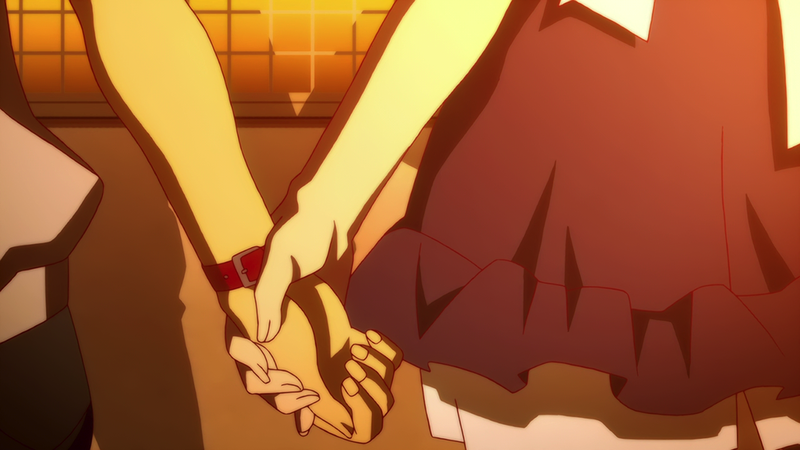 Every time I watch or read a Monogatari property, I bring my own familiarity and experience with the series. 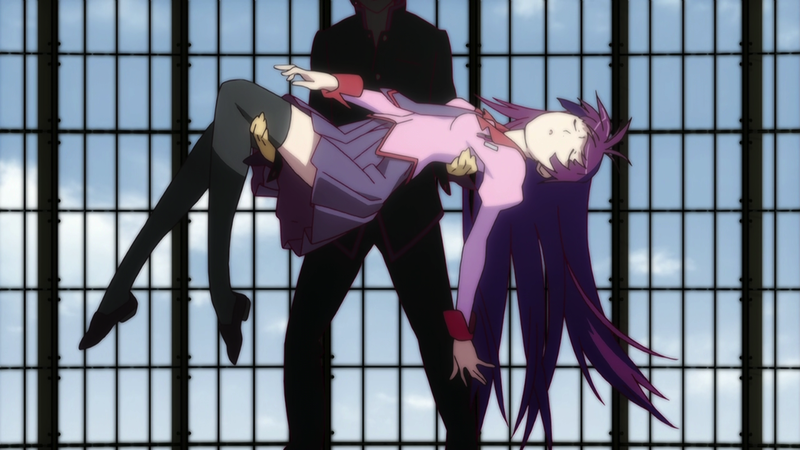 Reading Bakemonogatari felt far more distanced from Hitagi Senjougahara — the titular heroine of Hitagi Crab and later Araragi’s girlfriend — than Tatsuya Oishi’s visual translation. 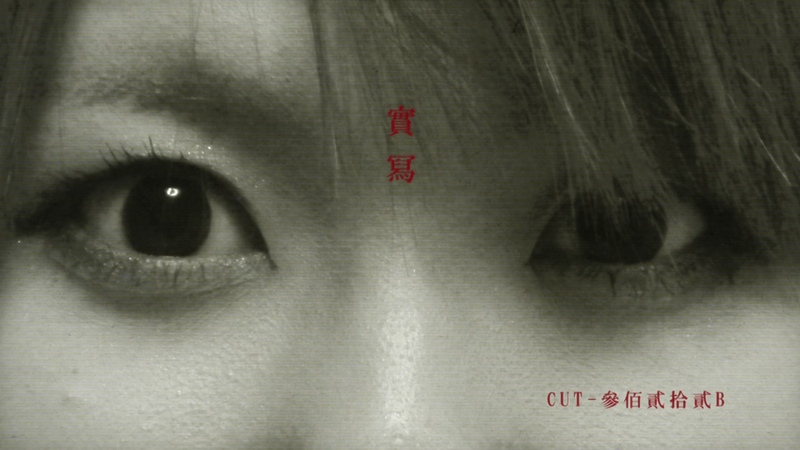 Oishi employs cutscenes to live action throughout Senjougahara’s admission of her family’s past. Although they’re not a reenactment of what happened, these still frames and live-action flashes give her story a palpable dread and horror. Accompanying the words that spill out of her mouth, prodded by Meme Oshino, it’s sometimes difficult to watch. Despite not visually depicting the actual event, this unique presentation of her emotional trauma immediately invites viewer empathy, if not genuine resonance. This is one of many small conclusions that can easily be drawn by the viewer as they watch Senjougahara’s interactions with Oshino, as they hear her words accompanied by Oishi’s visuals. Yet in novel form, Araragi draws the conclusion that we would as viewers. All that’s left is to read it. When I first began reading the Monogatari novels, I was told that I would understand Araragi far better, especially after reading Kizumonogatari. Kizumonogatari went a long way in depicting Araragi’s self-loathing and suicidal tendencies in a way that makes his interactions with Shinobu Oshino (née Kiss-shot Acerola-Orion Heart-Under-Blade) far more poignant, already knowing how their relationship evolves. Yet, when the time came to move away from Araragi, and more towards Senjougahara and Mayoi Hachikuji, I felt oddly distant from both while reading. It was if the gaps that my mind fills in naturally, translating the words on a page into visuals, had already been filled in by the anime adaptation. This isn’t to say that either is better or worse — I personally prefer the anime series to the novels thus far but enjoy both. That being said, I find that the novels to stick to Araragi’s point of view almost exclusively. 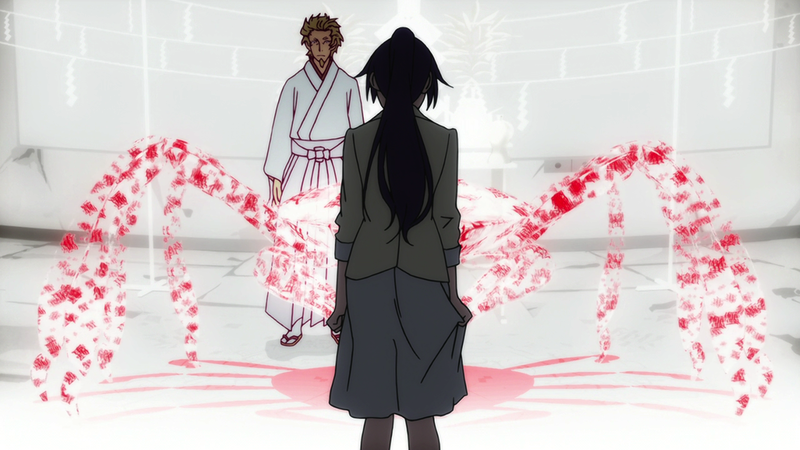 The visuals of the anime series offer insight and further connection to other characters for a viewer that the reader must rely on Araragi to translate for them on the page. Of all the anime bloggers that write on Monogatari, you’re one of my favorites. I’ve been trying to organize a Monogatari group watch ahead of the second season of Owarimonogatari airing this summer, and, even if your too busy to watch along, it’d be awesome if you could support it somehow. I’d like to get the dialogue surrounding the series running at full steam by the time the summer anime season starts. I’ve personally watched the show over 20 times, and I was thinking of bringing up discussion questions and topics throughout the watch. I’ve put together a schedule on my own blog if you’re interested. Thanks for all of your wonderful writing!